CAFOD have received messaages of hope from across England and Wales. After harrowing stories from refugees trying to reach safety in Europe reached our newspapers and televisions were becoming more and more common, Catholics from across England and Wales were among the first to act. 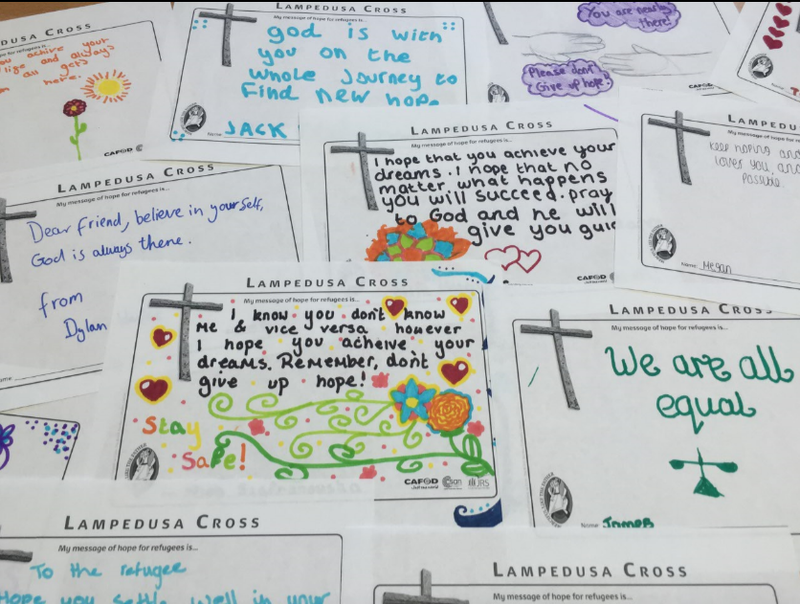 Showing great compassion to refugees, CAFOD supporters responded to the crisis by writing messages on Lampedusa Cross cards, which were brimming with feelings of hope, love and kindness. Catholic parishes embarked on pilgrimages to stand in solidarity with refugees and to extend a feeling of welcome to them. So having the opportunity to deliver a handful of the messages and witness first-hand the impact that they had was a true privilege. While at the wellbeing classes held at a refugee drop in centre run by REVIVE, a refugee support service in Salford, I spoke to four men who were rebuilding their lives. One of these men, Abdulhay, told me about his journey from his home in South Sudan. 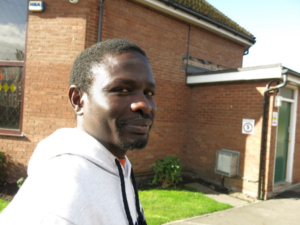 He had fled his home 856 days prior to our meeting, and had reached the UK just 86 days before. Aged 25 years old, he had been separated from his family and faced challenges in adapting to life in England. I passed him a message of hope written by a schoolchild, which read: “I hope that you achieve your dreams. I hope that no matter what happens you will succeed. Pray to God and he will give you guidance.” Abdulhay told me he felt comforted by the welcome, and the group were particularly grateful for one message written in Arabic, their first language. It was clear to see just how touched the men who attended the group felt after receiving the messages of hope. After losing so much, the men were facing the new challenge of rebuilding a life for themselves. And what may have seemed like a small act from the individuals in the Catholic community who wrote messages, made a huge difference and helped their challenge seem a little less overwhelming.